Our good friend Kirk from church turned 60 last year, so I decided to gift him 6 LO's (12 pages) for his birthday to commemorate the festive occasion. This first page is actually a bonus page I am making him to be the beginning of the rest of the album. I used the Magnifique papers (X7127B), the Bohemian alphabet (E1019) with Gold embossing powder (Z668) for the number 60, and then used the Poster Board Alphabet (E1014) stamp set for his name. 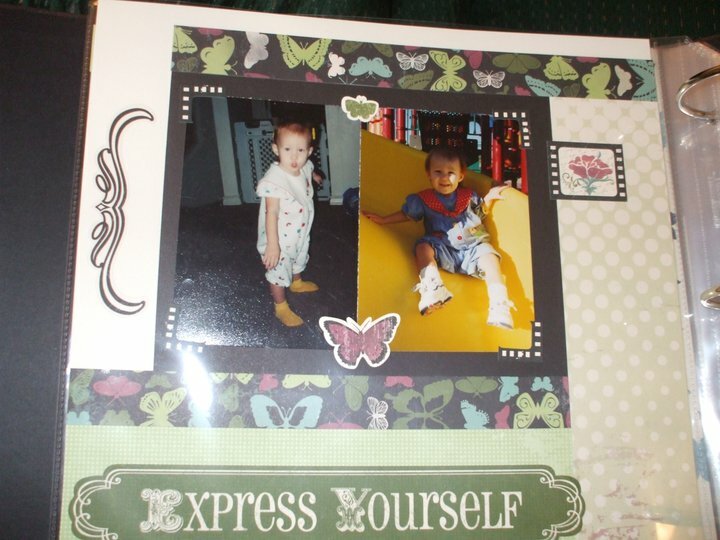 For his picture at the bottom, I used one of the Dimensional Elements from the Booksmart ((Z1223) sponged with chocolate ink (Z2111) using Sponge Daubers (Z726). ok; now this LO is not yet complete because I made this as a gift. My niece Breanna (we call her Breezy) is in Girl Scouts. This makes me kinda proud as I grew up in Girl Scouts and was able to go and do many things through this opportunity. It's that time of year again- YEP...GIRL SCOUT COOKIE TIME. I talked it over with my sister and asked her what my nieces favorite colors were as I wanted to incorporate that into the LO. When my sister went through the online catalog, she said Breezy would really like the You Rock papers. 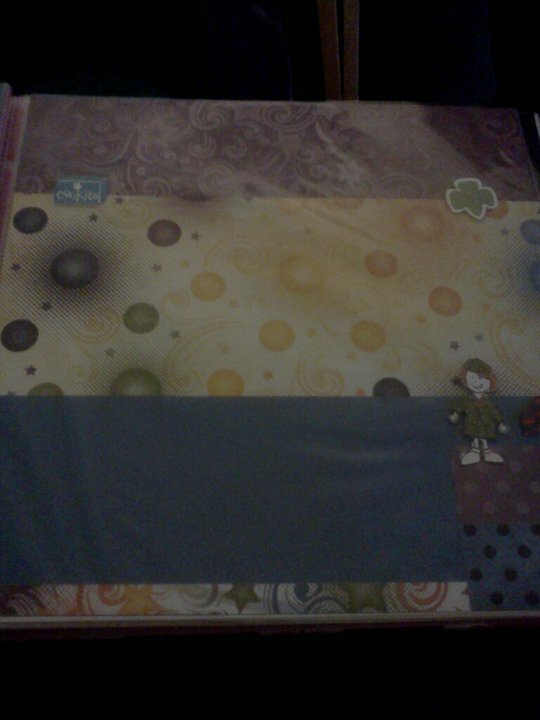 I decided to make her a LO featuring those papers and a stamp set that is sadly now retired. 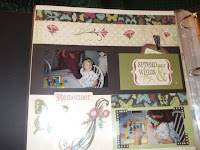 I created this LO at the Saturday Night Scrappers Club. I'm really looking forward to seeing how it ends up once there are pictures on it. Once I do get photos, I will come back and add those to this post as well so you can all see the finished work. These pictures are very special to me and I chose to use the Passages papers because they show Passages of time. These pictures show me as a baby with my grandparents, and then my daughter with my Grandma. Both of my grandparents have since passed on and although my grandpa never got to meet her in person, I know he is looking down, now with my Grandma and loving on my Sweet Pea with much love. This last page is shown with only a couple items and features the use of a flip flap. The flip flap holds my passport before my parents and I moved to Germany. I used a stamp to make a tag that shows the date which is shown the date of my passport. 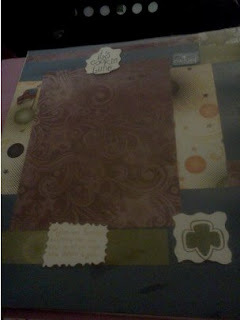 The small piece of the cardstock at the top says "Life is a journey..Enjoy your travels"
I created this layout using one of the older Constant Campaigns from Close to My Heart. I thought it was the perfect paper packet for featuring my pictures welcoming my daughter into the world. This first page is the left side of the layout. There was a lot of sponging done ahead of time. I did most of the work at the Saturday Night Scrappers Club held at Jen Rubio's house (2nd and 4th saturdays) from 4-10 pm. 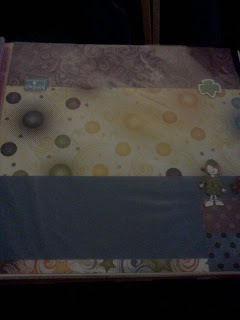 Then I went home and completed the layout by adding the pictures. It's so hard to believe my "baby girl" is now 13 1/2 years old. This is my second layout for the 2011 Scrapbook challenge also featuring the WINGS WOTG kit using the MY stickease. The only stamping that has been done on this layout is the year 1998 using the Bohemian Alphabet set. 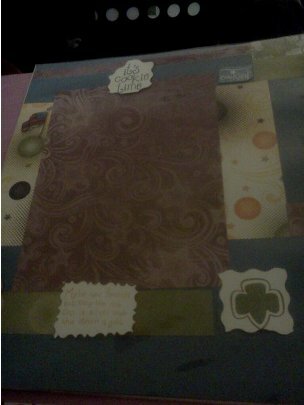 I am way behind on my scrapbooking so I am actually glad that Jen Rubio, my team manager put out the challenge to us. My little girl was only a year old here and is now 13 1/2. Time to get to work and hopefully with all the scrapbooking I will be doing this year I can get caught up and maintain her scrapbooks. 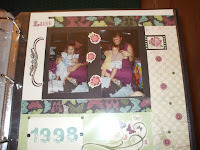 I am going to work on getting caught on her brother's scrapbook pages as well.